Only 500 generations ago, hunter-gatherers began cultivating crops and forming their tiny communities into social hierarchies. Around 15 to 20 generations ago, industrial capitalism erupted on a global scale. In the last generation, the entire human species, along with virtually all other species and indeed the entire planet, have been thrown into a series of crises, which many believe threaten to converge in global catastrophe: global warming spiraling out of control; oil prices fluctuating wildly; food riots breaking out in the South; banks collapsing worldwide; the spectre of terror bombings in major cities; and the promise of ‘endless war’ to fight ‘violent extremists’ at home and abroad. We are running out of time. Without urgent mitigating, preventive and transformative action, these global crises are likely to converge and mutually accelerate over the coming decades. By 2018, converging food, water and energy shortages could magnify the probability of conflict between major powers, civil wars, and cross-border conflicts. After 2020, this could result in political and economic catastrophes that would undermine state control and national infrastructures, potentially leading to social collapse. 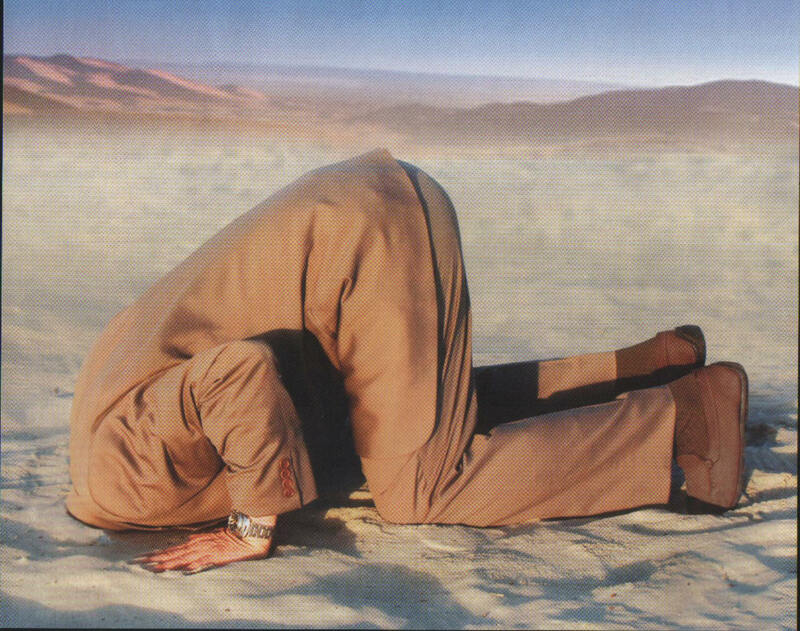 Anthropogenic global warming alone illustrates the gravity of our predicament. Global average temperatures have already risen by 0.7C in the last 130 years. In 2007, the UN Intergovernmental Panel on Climate Change (IPCC) told the world that at current rates of increase of fossil fuel emissions, we were heading toward a rise in global average temperatures of around 6C by the end of this century, leading to mass extinctions on a virtually uninhabitable planet. The Proceedings for the National Academy of Sciences has reported that current fossil fuel emissions are exceeding this worst-case scenario. Many scientists concede that without drastic emissions reductions by 2020, we are on the path toward a 4C rise as early as mid-century, with catastrophic consequences, including the loss of the world’s coral reefs; the disappearance of major mountain glaciers; the total loss of the Arctic summer sea-ice, most of the Greenland ice-sheet and the break-up of West Antarctica; acidification and overheating of the oceans; the collapse of the Amazon rainforest; and the loss of Arctic permafrost; to name just a few. Each of these ecosystem collapses could trigger an out-of-control runaway warming process. Worse, scientists at Lawrence Berkeley National Laboratory and the University of California at Berkeley now project that we are actually on course to reach global temperatures of up to 8C within 90 years. But our over-dependence on fossil fuels is also counterproductive even on its own terms. Increasing evidence demonstrates that peak oil is at hand. This is when world oil production reaches its maximum level at the point when half the world’s reserves of cheap oil have been depleted, after which it becomes geophysically increasingly difficult to extract it. This means that passed the half-way point, world production can never reach its maximum level again, and thus continuously declines until reserves are depleted. Until 2004, world oil production had risen continuously but thereafter underwent a plateau all the way through to 2008. Then from July to August 2008, world oil production fell by almost one million barrels per day. It’s still decreasing, even according to BP’s Statistical Review 2010 (which every year pretends that peak oil won’t happen for another 40 years) – in 2009 world oil production was 2.6 percent below that in 2008, and is now below 2004 levels. Oil price volatility due to peak oil was a major factor that induced the 2008 economic recession. The collapse of the mortgage house of cards was triggered by the post-peak oil price shocks, which escalated costs of living and led to a cascade of debt-defaults. A study by US economist James Hamilton confirmed there would have been no recession without the oil price shocks. While the recession slumped demand, allowing oil prices to reduce, experts now warn of a coming oil supply crunch by around 2014. 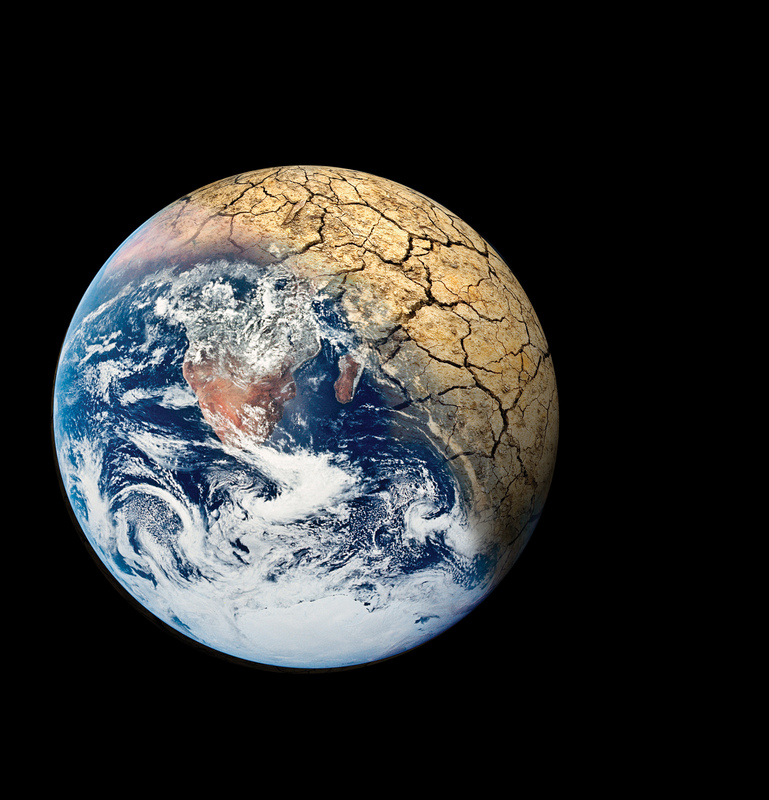 As climate change intensifies natural disasters – such as droughts in food-basket regions, floods in South Asia and the heatwave in Russia – and as the full impact of peak oil eventually hits, costs to national economies will rocket, while world food production declines. Already, global warming has exacerbated droughts and led to declines in agricultural productivity over the last decade, including a 10-20 per cent drop in rice yields. The percentage of land stricken by drought doubled from 15 to 30 per cent between 1975 and 2000. If trends continue, by 2025, 1.8 billion people would be living in regions of water-scarcity, and two-thirds of the world population could be subject to water stress. By 2050, scientists project that world crop yields could fall as much as 20-40 per cent. Maps released by scientists at the Center for Sustainability and the Global Environment (SAGE), University of Wisconsin-Madison, show that the earth is “rapidly running out of fertile land” for further agricultural development. No wonder, then, that world agricultural land productivity between 1990 and 2007 was 1.2 per cent per year, nearly half compared to 1950-90 levels of 2.1 per cent. Similarly, world grain consumption exceeded production for seven of eight years prior to 2008. Apart from climate change, the ecological cost of industrial methods is fast eroding the soil – in the US, for instance, 30 times faster than the natural rate. Former prairie lands have lost one half of their top soil over about a 100 years of farming – but it takes 500 years to replace just one-inch. Erosion is now reducing productivity by up to 65 per cent a year. The dependence of industrial agriculture on hydrocarbon energy sources – with ten calories of fossil fuel energy needed to produce just one calorie of food – means that the impact of peak oil after 2014 will hugely constrain future world agricultural production. But oil is not the only problem. Numerous studies show that hydrocarbon resources will become increasingly depleted by mid-century, and by the end of this century will be so scarce as to be useless – although we do have enough to potentially tip us over into irreversible runaway global warming. Former TOTAL geologist Jean Laharrere projects that world natural gas production will peak by around 2025. New technologies mean that unconventional forms of natural gas in the US might prolong this some decades, but only if future demand doesn’t increase. The independent Energy Watch Group (EGW) in Berlin projects that world coal production will also peak in 2025, but the journal Science finds that this could occur “close to the year 2011.” EGW also argues that world production of uranium for nuclear energy will peak in 2035. According to the Hydrocarbon Depletion Study Group at Uppsala University, unconventional oil – such as oil shale and tar sands –will be incapable of averting peak oil. Greater attention has turned to thorium, which certainly holds greater promise than uranium, but as pointed out by the Institute for Energy and Environmental Research in Washington DC, thorium still requires uranium to “kick-start” a nuclear chain reaction, and as yet no viable commercial reactors have been built despite decades of research. The exponential expansion of modern industrial civilization over the last couple of centuries, and the liberal ideology of ‘unlimited growth’ that has accompanied it, has been tied indelibly to 1) the seemingly unlimited supply of energy provided by nature’s fossil fuel reserves and 2) humankind’s willingness to over-exploit our environment with no recognition of boundaries or constraints. But the 21st century is the age of irreversible hydrocarbon energy depletion – the implication being that industrial civilization, in its current form, cannot last beyond this century. This means that this century signals not only the end of the carbon age, but the beginning of a new post-carbon era. Therefore, this century should be understood as an age of civilizational transition – the preceding crises are interlocking symptoms of a global political economy, ideology and value-system which is no longer sustainable, which is crumbling under its own weight, and which over the next few decades will be recognized as obsolete. The question that remains, of course, is what will take its place? While we may not be able to stop various catastrophes and collapse-processes from occurring, we still retain an unprecedented opportunity to envisage an alternative vision for a new, sustainable and equitable form of post-carbon civilization.The imperative now is for communities, activists, scholars and policymakers to initiate dialogue on the contours of this vision, and pathways to it. Widespread distribution of ownership of productive resources so that all members of society have a stake in agricultural, industrial and commercial productive enterprises, rather than a tiny minority monopolising resources for their own interests. More decentralised politico-economic participation through self-managerial producer and consumer councils to facilitate participatory decision-making in economic enterprises. 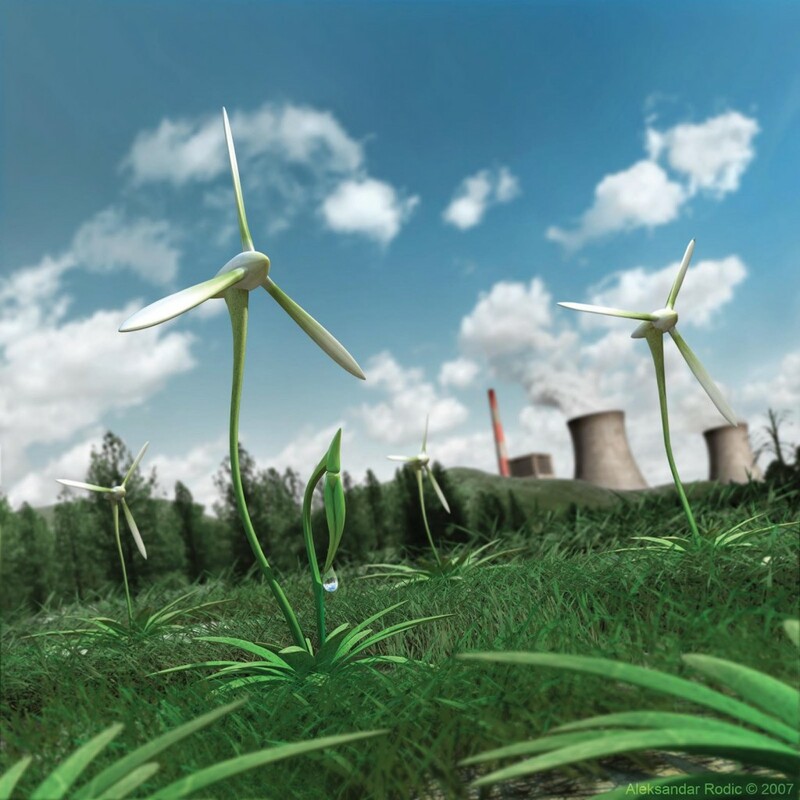 Fostering a new, distributed renewable energy infrastructure based on successful models such as that of the borough of Woking in Surrey, UK. Structural reform of the monetary, banking and financial system including abolition of interest, in particular the cessation of money-creation through government borrowing on compound interest. Elimination of unrestricted lending system based on faulty quantitative risk-assessment models, with mechanisms to facilitate greater regulation of lending practices by bank depositors themselves. Development of parallel grassroots participatory political structures that are both transnational and community-oriented, by which to facilitate community governance as well as greater popular involvement in mainstream political institutions. Development of parallel grassroots participatory economic institutions that are both transnational and community-oriented, to facilitate emergence of alternative equitable media of exchange and loans between North and South. Emergence of a ‘post-materialist’ scientific paradigm and worldview which recognizes that the cutting-edge insights of physics and biology undermine traditional, mechanistic conceptions of the natural order, pointing to a more holistic understanding of life and nature. Emergence of a ‘post-materialist’ ethic recognizing that progressive values and ideals such as justice, compassion, and generosity are more conducive to the survival of the human species, and thus more in harmony with the natural order, than the conventional ‘materialistic’ behaviours associated with neoliberal consumerism. Dr. Nafeez Mosaddeq Ahmed is Executive Director of the Institute for Policy Research & Development in London. 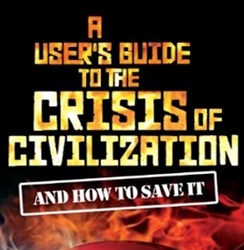 His latest book is A User’s Guide to the Crisis of Civilization (Pluto, 2010). “>>Emergence of a ‘post-materialist’ scientific paradigm and worldview which recognizes that the cutting-edge insights of physics and biology undermine traditional, mechanistic conceptions of the natural order, pointing to a more holistic understanding of life and nature. crazy dumbasses just have to put things like this in here. anon, i know thats a clunky wording but i think youve misunderstood, hes saying that a new scientific paradigm (that means pattern or model) and worldview will emerge, recognizing the cutting-edge insights of physics and biology. This new scientific paradigm (pattern or model) will undermine (lessen the effectiveness, power, or ability of) the traditional (existing in or as part of a tradition; long-established) mechanistic (theories which explain phenomena in purely physical or deterministic terms.) conceptions of the natural order (the physical universe considered as an orderly system subject to natural (not human or supernatural) laws). the new scientific paradigm (not the traditional, mechanistic conceptions of the natural order) will point to a more holistic (belief that the parts of something are intimately interconnected and explicable only by reference to the whole) understanding (the ability to understand something; comprehension) of life and nature. or simply new science paradigm good, old dumb dumb paradigm bad. make people think more good about stuff. What an insightful article, I wish more journalists had the insight to recognize and analyze these issues. Mormon Environmental Stewardship Alliance » Nasa-funded study: industrial civilisation headed for ‘irreversible collapse’? The Progressive Mind » Nasa-funded Study: Industrial Civilisation Headed for ‘Irreversible Collapse’? Sadly we are facing Near Term Human Extinction (20-30 years) and there is nothing we can do about it. Please read “Climate-change Summary and Update” at the head of the list in the column to the right of the main article of the day. Great article, Nafeez. We need to start teaching this in school from an early age. Children that grow up with it will be far more likely to be able to come up with solutions when they grow up and it will promote a collective mindset. We certainly don’t need to hide it from them…better they know what’s happening at a young age so they can be prepared to confront it. Isn’t this what Jesus Christ told us two millenia ago? Hi, I am doing a similar research study and was wondering if anyone– publisher, author, reader knows of when or where the public may be able to see the data or index for this study!? Thank you! Add the end of antibiotics to the perfect storm…. The key problem is not the will to change human expectations of growth or to introduce voluntary limits to growth. We have lost sight of the fact that the driving force of human development, namely capital accumulation, proceeds independently of our will. Even if we wanted to do so (which we don’t, because most people are only concerned with their present status and maintaining or increasing this status in the future), we are powerless to control the value-form determined nature of economic growth in our society. The only solution is to stop producing commodities for the sake of producing value. Only then will the futile waste of resources and human labour invested in the endless quest for growth be curtailed. Earlier civilizations collapsed because they starved; we will collapse because we are too abundant, but don’t know how to manage the surplus created by incentivizing the entire global population to compete against itself. Has anyone asked themselves why this was published? The majority of people who are reading this is probably “Commoners” ~ So what good does this do? While we feed our money to the “Elites” and drive our cars, it’s because we have to in order to live. Bills to pay, children and families to support. This calls for change, but not a single “Commoner” has any power to do anything when the majority are doing what they can to scrape by. How does this help? All it does is seek to incite fear and panic into the population. NASA received a call from a poor girl who was so scared of the Dec 21, 2012 Doomsday theory, she was wondering if she should kill herself. I honestly don’t care about the research, if it’s important, necessary and urgent, it would have been brought to the government undisclosed to the general public. Not spread on the internet to cause panic. You’re discrediting yourself, in my opinion, because those who can make a change, probably won’t hear it from an article on the internet. Readers who are concerned to look for solutions please look at ‘ The Progressive Utilization Theory’ (Prout) which has an agenda very close to that in Nafeez’ 10 point summary. The real crucial issue people have their head in the sand about is the fact that statism is a form of slavery, and slavery can not produce social or ecological balance, ever (i.e. the karmic reality disallows it); until you acknowledge that your activism will go nowhere really productive. Dr. Nafeez Mosaddeq Ahmed many good points but he does not mention the most importan: the world’s population explosion. “Evryone” including Mosaddeq Ahmed puts a head in the sand for this important reality.